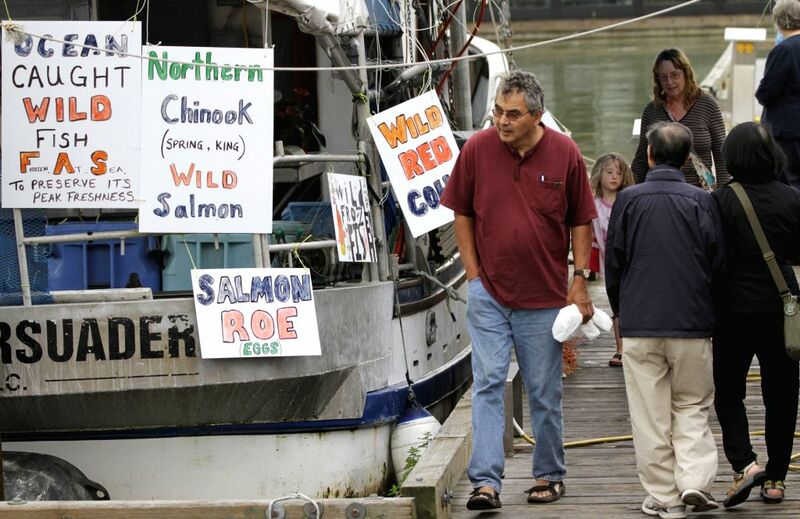 VANCOUVER, Aug. 13, 2014 - Residents shop for the sockeye at the dock of Steveston Village in Richmond, Canada, Aug. 12, 2014. 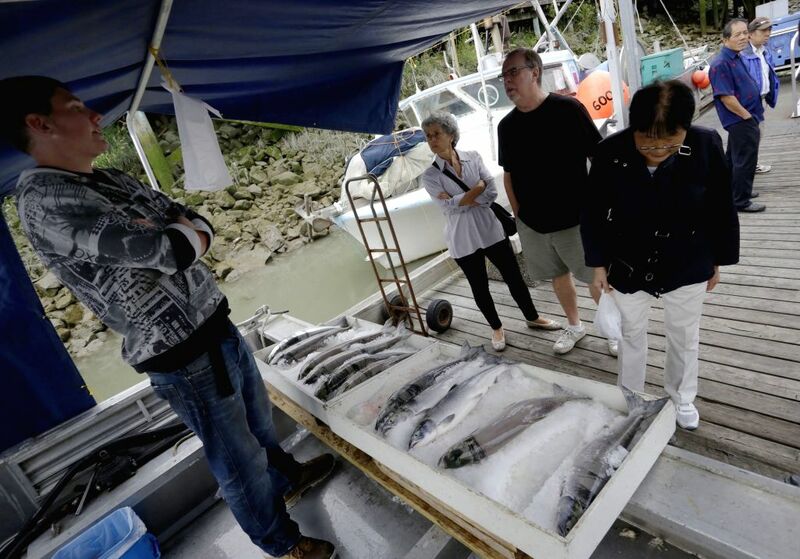 At the first week of the official opening to commercial sockeye salmon fishing, more than 250 fishing boats sail out around Fraser River for their navigation to the salmon. According to The Department of Fisheries and Oceans, about 20 to 30 million sockeye will return this year to spawn. 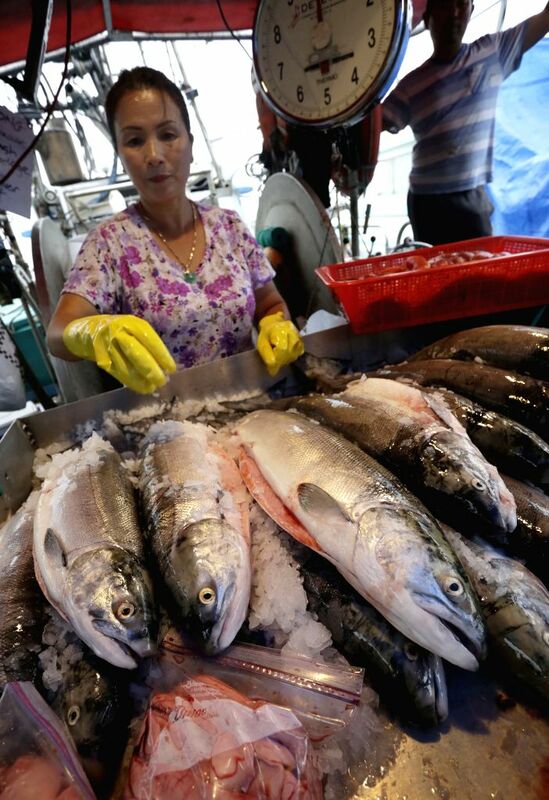 A woman prepares sockeye for sale at the dock of Steveston Village in Richmond, Canada, Aug. 12, 2014. 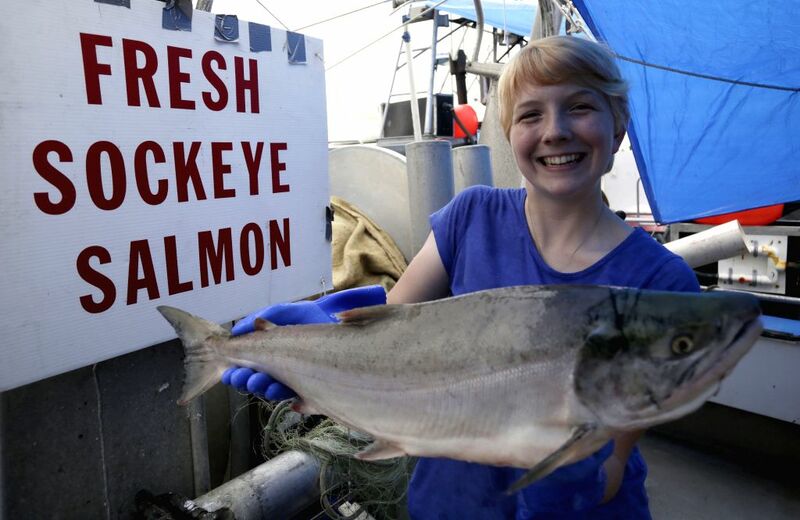 A woman poses with a sockeye salmon at the dock of Steveston Village in Richmond, Canada, Aug. 12, 2014.